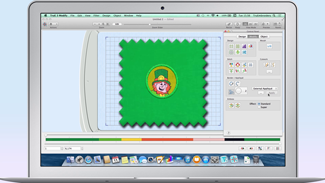 Frame your embroidery automatically with Border and Appliqué options. Choose from 75 shapes or draw your own! 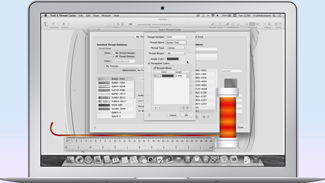 Reshape and restyle your designs to give a whole new look. 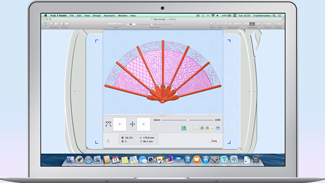 Alter the shape of an area easily, add new patterns or even convert to specialty fill stitches. 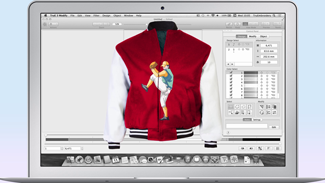 Use the Design Separator to creatively cut out any area of an embroidery, for example to stitch it on two sides of a jacket. 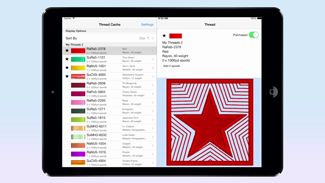 Select from your personal thread stash for different projects and create a shopping list for your iPhone, iPad or to print. Choose the threads you own from many different manufacturers and add them to your own My Threads palettes. Record the stock levels of your favorite threads and “star” the ones you need to buy. Transfer your My Threads and My Thread Stock info to your iPhone and use it as a mobile shopping list. 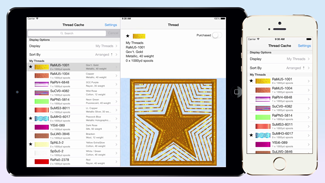 Transfer your My Threads and My Thread Stock info to your iPad and use it as a mobile shopping list. See how to add your own colors to My Threads — if you have one that is not listed in the over 20,000 in the TruE™ 3 thread databases! ©2019 Singer Sourcing Limited LLC. 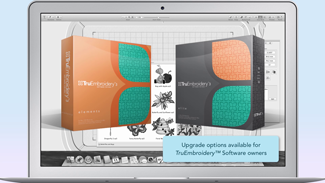 TRUEMBROIDERY, TRUE and the ‘TruE Flower Design’ are trademarks of Singer Sourcing Limited LLC. 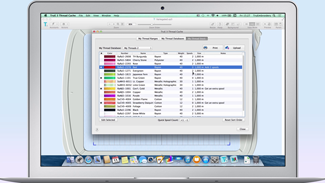 MAC is a trademark of Apple Inc.
Sign up and we’ll make sure you’re the first to know when something big happens.